Get your brain ready for a serious workout in Armor Games awesome app Interlocked! 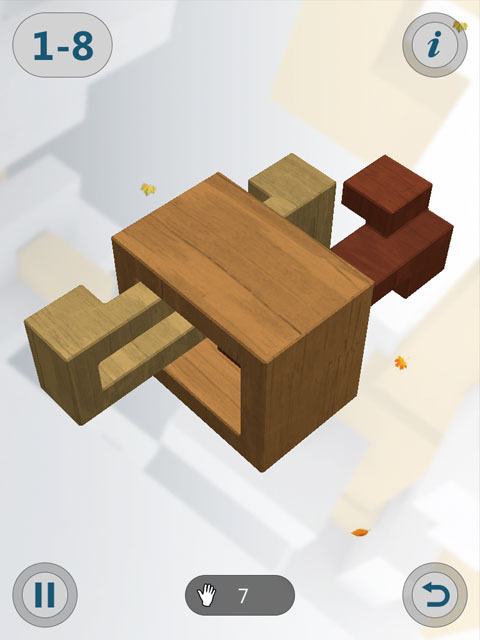 It's a challenging puzzle game that is sure to keep you interested. There are 4 stages to play through. Each stage has 9 unique levels to play. There are 3 stars to get in each level and a total of 27 per stage! Make sure to bring your brain with you upon entering the playing area, your going to need it for problem solving. 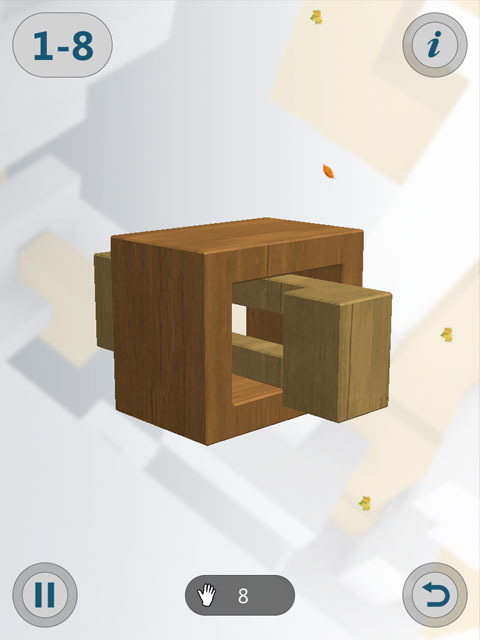 Touch the screen around the object and move your finger to rotate the 3D puzzle around to your desired viewing angle. Move, slide or adjust any piece with the touch of a finger. 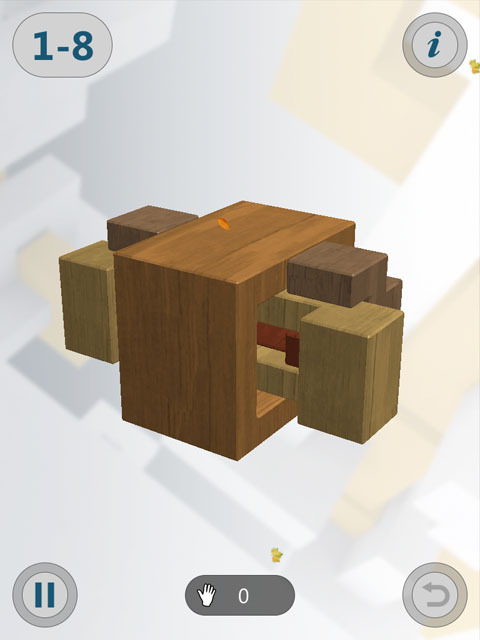 Once a puzzle piece is unlocked from the group slide it towards the outside of the playing area to remove it. 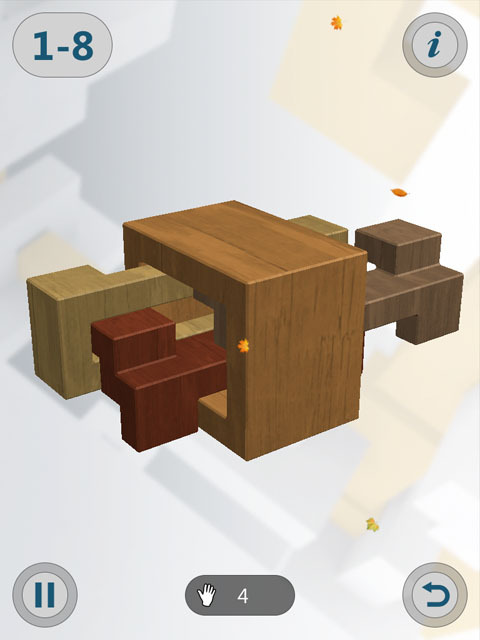 Your goal is to free all of the objects that are interlocking with one another! Use the undo button if you're unsure of a move you have made. Each move of a piece within the puzzle is tracked and counts as one. 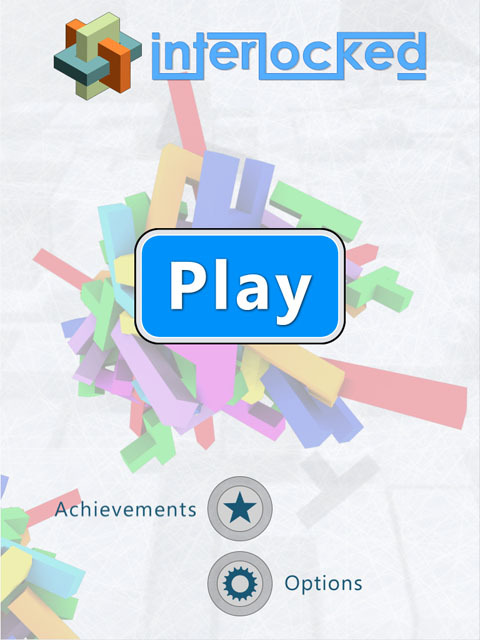 Try to solve the puzzle in the least amount of moves possible to achieve a higher score. If your stuck, use the i in the top right corner for a helpful hint. 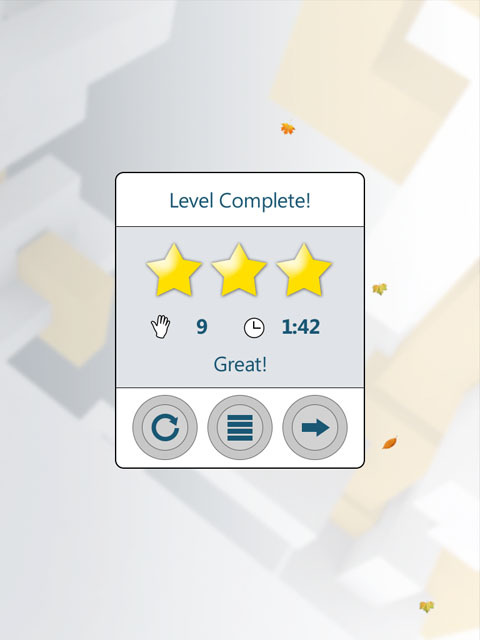 Each level has a possible 3 stars that you can earn. 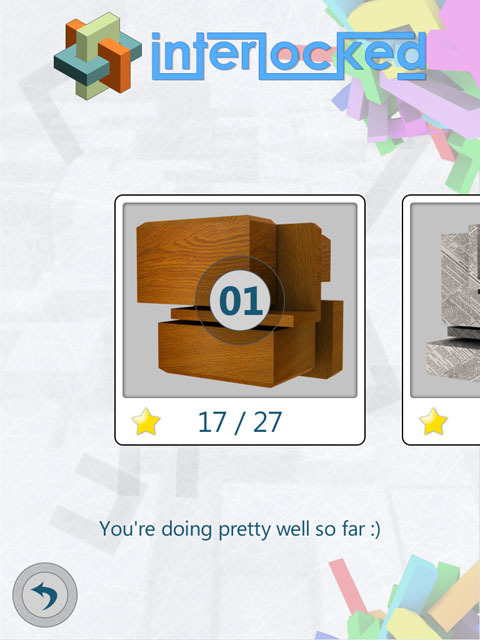 The number of stars you earn is determined by the number of moves you made to complete each level. The less moves you make, the more stars you earn! Launch Google Play! Interlocked.Wecreatestuff.com Coming Soon!